It's known as impact investing, and it's helping finance projects with social benefits around the state. The mill buildings once housed a furniture manufacturer, but now hold more than 20 apartments, several small offices, a restaurant and an inn. Much of the space has been leased as developers prepare for the grand opening Saturday. When is an investment more than an investment? When it produces financial gains while also helping the community through urban renewal, job creation or environmental protection. That’s the pitch that community organizations in Maine have been making to high-net-worth individuals, and the message appears to be resonating. The Mayo Mill before the renovation. Known as impact investing, it is a type of investment that has been growing in Maine and nationwide, with more people wanting to put money into projects that generate a return while providing some social benefit. One recent example is an $11 million project in Dover-Foxcroft to convert the defunct Moosehead furniture mill into a mixed-use development with apartments, office space, a brew pub restaurant and an inn. The development, called Mayo Mill, will celebrate its grand opening Saturday. Of the total redevelopment cost, $2.5 million came in the form of loans from community organizations, about $333,000 of which was raised through investment by private individuals, said Ellen Golden, managing director of CEI Investment Notes Inc. CEI Investment Notes is an affiliate of Wiscasset-based community development corporation Coastal Enterprises Inc. that facilitates impact investing by accredited private investors, primarily in Maine. An accredited investor has a net worth of at least $1 million, excluding primary residence, or earns at least $200,000 a year. One investor in the project is philanthropist Peter Lamb, a Kittery Point resident who recently decided to divert some of the funds from his traditional charitable trust with the Ellsworth-based Maine Community Foundation into a pool of funds the foundation uses for low-interest loans to projects that revitalize communities, boost fishing and agriculture, or protect the environment. The foundation and CEI have been working together on various impact investments throughout Maine. Lamb said the amount he contributed is in the thousands of dollars, but he declined to say exactly how much. One of the beautiful things about impact investing is the ability to pool funds together to tackle larger projects and in some cases attract traditional financing to stretch philanthropic dollars even further, he said. “It’s a significant amount for me, but I couldn’t do one of these loans on my own,” Lamb said. Nationwide, total assets under management by organizations engaging in impact investing rose 76 percent, from $3.74 trillion in 2012 to $6.57 trillion in 2014, according to US SIF, the Washington, D.C.-based membership organization for impact investors. Statewide data for Maine was not available, but Golden said impact investment through CEI, one of the state’s leading community development corporations, increased from $9.7 million in its fiscal year ending Sept. 30, 2012, to $27.8 million in its 2014 fiscal year. Golden said 2008’s stock market crash and the Great Recession that followed likely spurred many philanthropists to switch from traditional donations to impact investments. “I think the collapse of the financial markets and the recession created an interest in more transparency and knowing where at least some of your money is,” she said. The growth of “buy local” campaigns, interest in food systems and sustainable agriculture, and concern about fossil fuels and climate change are also factors contributing to the increased interest in impact investing, Golden said. Other impact investors simply may want to see their charitable giving recycled for future use, she said. “Some investors can invest more money knowing that they can get it back than they would if they were to give it away,” Golden said. The Maine Community Foundation has been amassing a pool of funds from private investors and using the money for impact investing, said Peter Taylor, the foundation’s vice president of program development and grant-making services. So far, it has collected about $3.5 million from 32 investors and loaned out $2.4 million of that cash for projects that meet its philanthropic goals, he said. Those projects include Mayo Mill in Dover-Foxcroft. Taylor said organizations that facilitate impact investment must perform due diligence to minimize the risk, but that earning a profit cannot be their only objective. “This is primarily a philanthropic strategy,” he said, adding that impact investors often sacrifice a potentially higher rate of return in exchange for participating in projects that will help their communities. The Mayo Mill project’s developer is Jonathan Arnold, principal of Missouri-based Arnold Development Group. 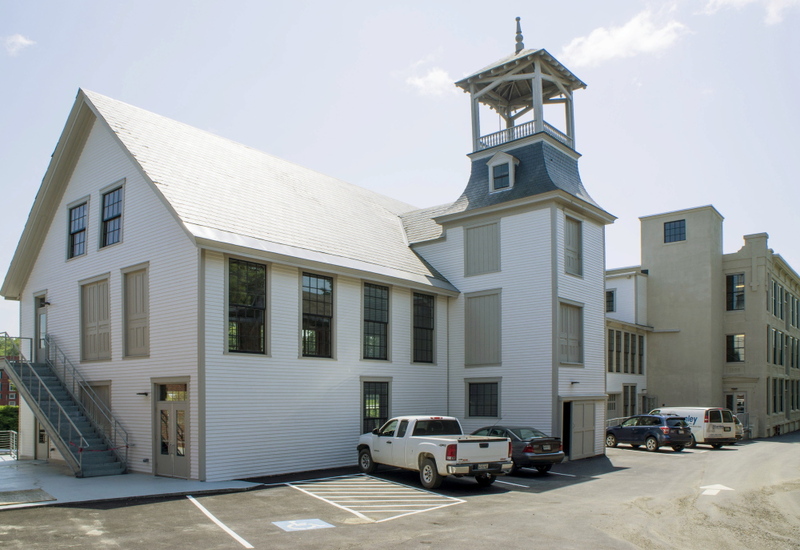 His firm was the winning bidder on the revitalization project, which was commissioned by the town of Dover-Foxcroft. Arnold Development is a certified benefit corporation, or B corp, a for-profit company that specializes in projects that provide some benefit to the community such as urban renewal or environmental preservation. In the case of Mayo Mill, the project was too high-risk for conventional banks to cover the whole cost, he said, which is where impact investment came in. 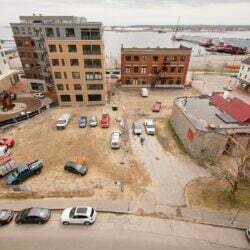 Arnold began work on the project back in 2009, two years after furniture-maker Moosehead Manufacturing shuttered the nine-building mill complex and laid off the operation’s 126 workers. The plant had made furniture for 60 years. 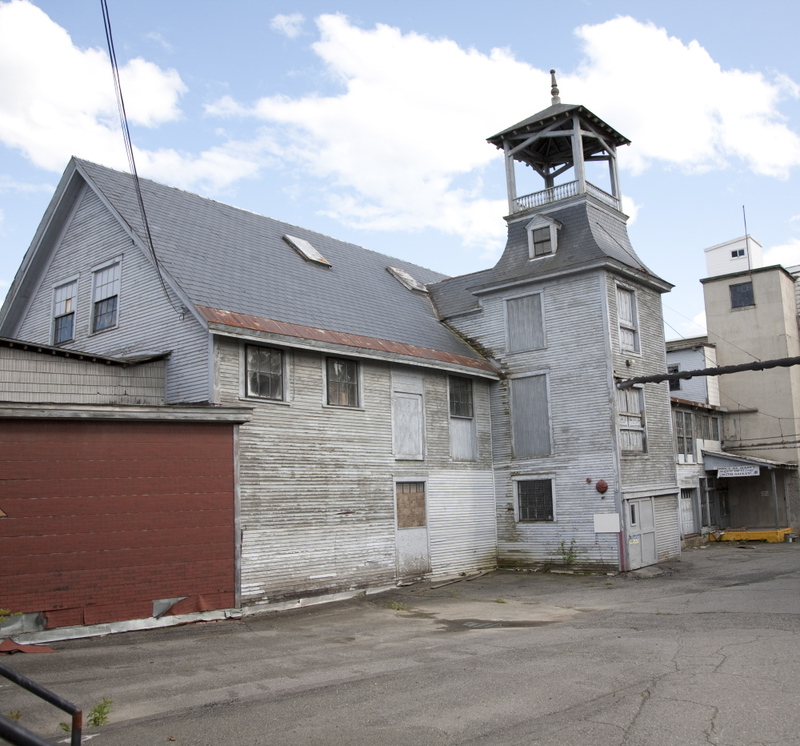 Town officials were seeking a way to reuse the mill complex that would revitalize the area and create jobs, Arnold said. It settled on a mixed-use redevelopment that includes more than 20 apartments, several small office spaces, a restaurant space and an inn. In the end, the $11 million project was funded by a variety of sources, including Bangor Savings Bank, tax credits, CEI, and individual impact investors through the Maine Community Foundation. With a few days left until its grand opening, the Mayo Mill project is on track to become a financial success. All of the apartments were leased before the project was finished, with 50 more people on the waiting list, Arnold said. The inn space is leased, and the restaurant space is about to be occupied by a brew pub, he said. Nearly half of the office space has been leased. Arnold said he knew traditional banks would not be willing to loan the entire amount needed to complete the project because of the risk involved. What if no one wanted to lease space in the former mill? The contribution of impact investors helped make the project viable, Arnold said. “Without their help, the argument could be made that the loan never would be made,” he said.